The government provides each school with funding, known as the PE and Sport Premium. This money has been guaranteed until 2020; it should be used to develop physical activity within schools and have a sustainable impact on children’s health and wellbeing, now and in the future. The money boosting the PE & Sport Premium is coming from the soft drinks industry, also known as the sugar tax. The amount a school receives is worked out with the following formula: £16,000 lump sum plus £10 per head (pupils in Years 1-6). The funding for Wibsey Primary School during 2017-2018 was £16,895. Please click on the link below to find out how the PE and Sport Premium is being used at Wibsey Primary School, and the impact it is having on the overall health and fitness of our pupils. Wibsey Primary School work Tong School Sports Partnership who provide professional development opportunities for all staff to add to and enhance individual skills, to develop and deliver the best level of PE provision possible. Teachers and support staff work alongside professional coaches and specialists to further improve their skills, enabling PE provision within the school to be of a consistently high standard. 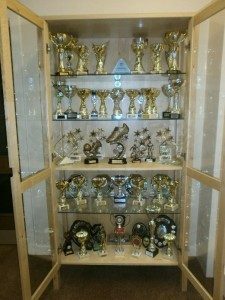 Our school mini buses allow us to travel to and from competitions and festivals in order to allow children to be involved in as many events as possible, particularly competitions against other children and schools. How will the impact of Sports Premium Grant be measured? Higher quality of teaching and learning in PE. Qualified, experienced and high quality sports coaches teaching our children. The profile of PE will continue rising in our school and we will continue to well known in the local authority for our successes in competitive sport and often come back to school with a trophy. PE will be used across the school linking with other curriculum subjects. Social, moral, spiritual and cultural ethos will be embedded throughout PE to develop sportsmanship and competitiveness. How does the school aim to ensure the improvements are sustainable? The school aims to maintain this level of commitment to PE and Sport once the grant ceases by funding the items/projects from other sources of income.